When you move home, it is important that the right insurance is in place to cover accidental damage to your goods. Here we take a look at the basics of goods in transit insurance and outline the steps homeowners need to take to protect their belongings on moving day. According to the Financial Conduct Authority, which regulates UK insurers, goods in transit insurance applies to merchandise and other items that are being transported in any manner, including being moved from one property to another. While this type of activity may appear to be something that should be covered under your home insurance policy, this is often not the case. Some policies might cover the removal of goods as standard or as an add-on, but it is unwise to assume this is the case. Not having the right insurance can be costly should something go wrong. What steps do homeowners need to take? The good news is that, as a homeowner, you don’t need to hunt around for a goods in transit insurance policy; however, you do have a responsibility to ask questions of any removals firm you are considering hiring. Some companies will include goods in transit insurance as part of their service, whereas others might offer it as an add-on for an additional fee. It is important to understand that there is no legal requirement for a removals firm to have a goods in transit insurance policy in place and that some less reputable companies operate without insurance. Make sure the one you opt for has adequate cover in place. www.imoveremovals.co.uk to take care of your move. In this way, you can rest assured that the right insurance will be in place if something unforeseen happens. Moving home is a stressful process and anything that can reduce the anxiety is welcome. 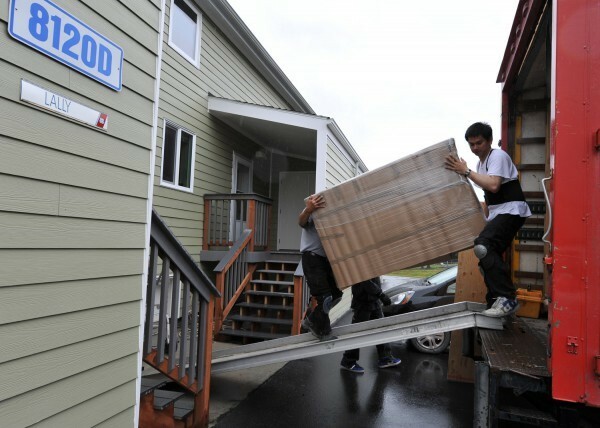 Choosing a reputable removals firm means that you will have peace of mind over your property and personal belongings.